About Marcello Real - Marriage & Family Therapist, Yoga and Meditation Instructor, in Copenhagen, Denmark. 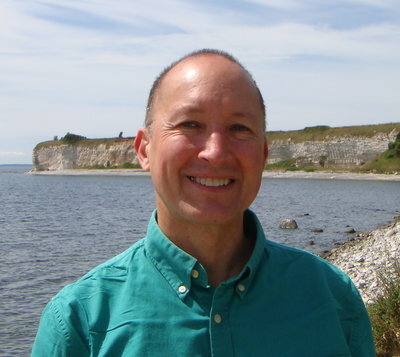 My name is Marcello Real and I am a Marriage & Family Therapist (MFT) living in Copenhagen, Denmark - I see individuals and couples for all types of life issues. I also practice and teach yoga & meditation, both of which have given me a deep experiential understanding of consciousness and which I've seen transform clients in a deeply positive way. As a result, my approach to life, counseling, and teaching yoga/meditation is holistic, compassionate, and all about self-empowerment. Professionally trained in the U.S. with a Master's degree in Marriage & Family Therapy (MFT) from the University of Oregon at Eugene, which has been verified by the "Ministeriet for Forskning, Innovation og Videregående" as the Danish equivalent of a "Kandidat grad i psykologi" degree. I also have a Bachelor's degree in Psychology from the University of California, Los Angeles (UCLA). I learned yoga and meditation in India and Nepal, at the source. For the last 26 years I have lived in and visited many different countries and cultures, which has really broadened my cultural perspectives and life experience. This, combined with 10,000+ hours of practicing and teaching meditation and yoga (since 1999), has given me a holistic understanding of human psychology, cultivating in me a straightforward, natural and pragmatic approach to mental health and life. Counseling in Copenhagen - For Individuals and Couples. A relaxed, sincere, hospitable, intuitive, compassionate and non-judgmental therapeutic experience, to help clients see their difficulties from various perspectives and get new ideas and inspirations, that have the potential to lead to transformative changes. Limited spaces available. Hatha Yoga - This ancient tradition helps to relieve stress and emotional pain that is held in the body. I teach it in a gentle and meditative manner which helps to sharpen your focus and become more aware of the present moment, while at the same time improving your energy levels, health, and general well-being. Yoga helped me to get rid of many aches and pains I had been experiencing, and dramatically improved my flexibility, as well as my mental health. It also helped me overcome the bronchitis I had since childhood. Meditation - I teach meditation in a simple and clear way, with no spiritual mumbo jumbo, just a focus on making the mind quieter and quieter, and more grounded in the present moment in order to not get thrown off-balance by any difficulties which suddenly appear in your life.